Home Grown Developments Ltd - Builder, Kitchens based in Caversham, Berkshire. 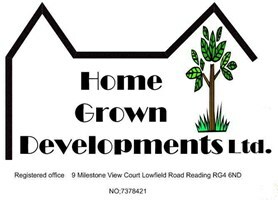 Home Grown Developments Ltd is a specialist Building Company based in Berkshire bringing more than 20 years experience to the domestic construction industry. Although we excel in every aspect of the Home Improvement arena, we specialize in Extensions for any purpose. We currently offer huge discounts on new kitchens and Bi fold doors direct from the manufacturer to help to keep your Project within budget . We offer a design, manage and build process to help the first timers and the "too busy developers" achieve their vision with the minimum of input. Take a look at our web pictures and satisfied customers. From Planning to Completion, we take care of it all. Advice on Planning; Full Schedule of Works: Time Scales and a complete Budget Calculator-- All free of Charge.